A giant dragon without scales, granted the title of Duke by Gwyn for his assistance after the eradication of dragons. Driven insane during its research on the scales of immortality which it could never obtain. Boss of Duke's Archive and the Crystal Cave. The first encounter with Seath is after taking the second elevator in the archives and going through a hallway, that becomes more and more encrusted with crystals towards the top. This first encounter is meant to be lost (Seath immediately regenerates health if any damage is done by the player), so going in with low health can be beneficial. The player can also exit the fog anytime during the encounter. Souls and Humanity will be lost upon death, unless a Ring of Sacrifice/Rare Ring of Sacrifice is worn. If the player escapes the Archive Tower without dying, the Bloodstain will still be in Seath's lair. To collect them, take the elevator back up, pick up lost souls and exit the fog or use a Homeward Bone, since Seath will still be there. The Ring of Sacrifice can be equipped, before the first encounter, to lose nothing upon death. The Rare Ring of Sacrifice can be equipped, before the first encounter, if you are concerned about Seath's ability to Curse you. However, if you unequip your armor before the fight, you should die long before becoming cursed. The second encounter with Seath will be after taking the path down through the Crystal Cave (the area found after going into the room with all the spilled books and the hidden staircase to a walled off grass field). To get to him, the player must walk across some invisible pathways. The pathways can be distinguished by the tiny crystal-flakes bouncing off of them. Prism stones and/or shooting arrows on the invisible pathway can be utilized to ensure proper footing, and messages left by other players on the invisible walkways can serve as a rough guide as well. A number of Man-Eater Shell enemies are inside a large cave just before Seath's area (which is helpful because they tend to drop purging stones, the cure for curse, which is one of Seath's attack types). If you move carefully or use a bow, these can be aggro'd one at a time and dealt with fairly safely. Note that some shells closer to you may be facing in the other direction, while those beyond may be moving towards you. If this is the case, wait for the moving maneater shells to approach you, rather than also aggroing the ones that have not moved yet. Dashing past the maneater shells into the boss area will bring them in with the boss, but only the first time you fight him. If you die and return, entering the white fog will not allow the clams through. Regardless, Seath's attacks damage them as well, though you do not get the souls or drops from them. Unlike most other boss areas, Seath's area will not have a fog gate in front of it the first time you enter. It is the area just past the group of maneater shells, with a number of statues of cursed players standing in low, glowing mist. As you move down into this area, a cutscene will occur. As the cinematic plays, take note of the crystal in the back of the room. This crystal is what keeps him alive, so destroy it quickly since it regenerates his health. It will be behind you after the cutscene ends and the battle begins. Alternately, if you are entering a second time, you'll be required to run around Seath to reach it. It is not HP-based; it breaks easily in one hit like other inanimate objects in the game, such as vases or boxes. It is generally better to not break the crystal immediately, unless you have already been defeated by Seath before and he is already in the middle of the room. If he is entering for the first time, wait for him to move forward into the middle of the room, then break the crystal. If you break it too early, Seath will spend most of the battle right near the area's entrance, and his tail will clip through the walls. This makes it extremely difficult to cut the tip off for the Moonlight Greatsword, and exposes you to much greater risk from his physical or breath attacks when trying to get behind him in close quarters. It is possible to kill Seath without destroying the crystal yourself. Simply head over to where the crystal is at, but DO NOT HIT IT. Wait for Seath to reach you and start circling around to his tail. He'll most likely attempt to attack "you", but in the process of doing this, he'll hit the crystal and make himself vulnerable (and stunned), and thus you can go to town on his tail and get free damage. Seath's crystal breath will leave residual crystal spikes on the ground that steadily builds curse. Avoid the crystal spikes after he unleashes a breath attack. 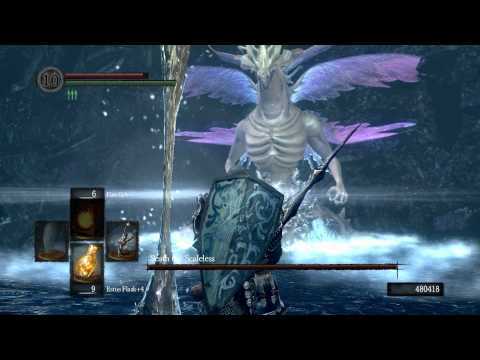 The miracle Great Magic Barrier is very effective against the magic damage dealt by Seath's crystal breath, although curse buildup can still occur. It can be difficult to get behind him when fighting him solo, as due to his large size even his slow turning speed means his tail will quickly move away from you whenever he shifts position. Summons can help a great deal, as he typically focuses on one player at a time, allowing another to circle around and safely attack his tail. The typical summon location is at the second bonfire in the Archives, on the balcony. IMPORTANT: If you have low curse resistance, make sure to equip the Cursebite Ring before the battle. This will help slow the curse if you do happen to get stuck in his crystal curse field attack. If you do, roll out of it ASAP. High curse resistance gear includes the Paladin Set, the Dingy Set, and the Antiquated Set. Holding extra humanity can also greatly increase curse resistance, although given the dangers of the Crystal Cave this is recommended only for summoned players. Finally, if you become stuck in one of Seath's crystal fields, keep your shield up as you try to escape. This seems to reduce damage and possibly curse buildup, and you will see stamina drain as if you are continually blocking damage. For Pyromancers and Mages: continually circle him while locked on and cast your best fast spells (great chaos fireball, crystal soul spear). It is unlikely he will even hit you, If he does, continue to circle and Heal when behind or beside him. He is very susceptible to spells and pyromancies, and the ability to lock onto him from afar means such spells may be used quite safely. Seath is blind, as noted in the description of the Helm of the Channelers. Use the Slumbering Dragoncrest Ring or the sorcery Hush to make it harder for Seath to detect you. Moonlight Greatsword: Attacking the tip of Seath's larger rear tail (not the smaller side ones) will eventually cut it off, giving the host the sword automatically. Players must attack the tip of the tail and not the base. 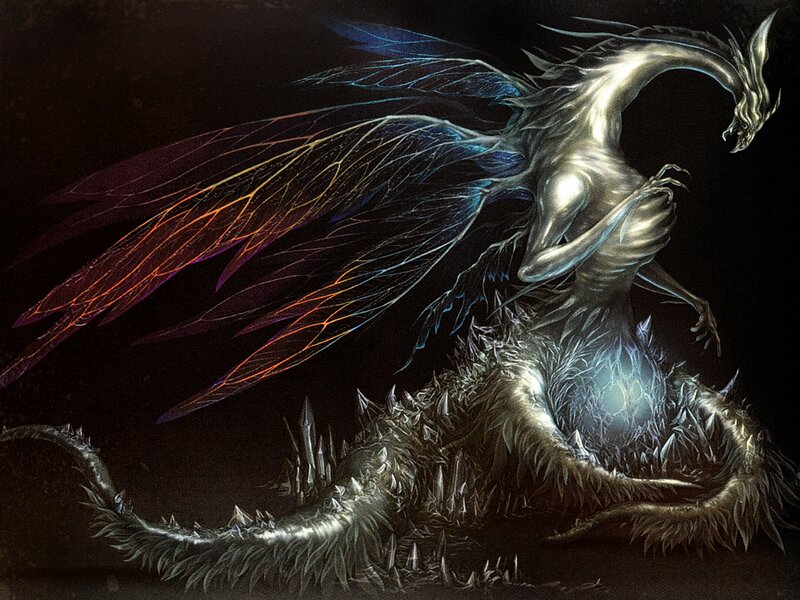 When the tail is cut off, it emits a shower of crystals instead of blood, suggesting Seath's entire body is filled with crystal. 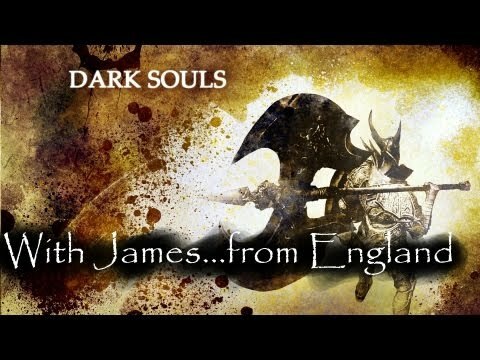 Once Seath kills you during the first encounter, re-enter the room of the first encounter in the Dukes Archives to find a Large Magic Ember and a valuable Soul. You may also return here after defeating Seath during the second encounter in the Crystal Caves. Note: the room of the first encounter will also contain a hostile, insane Big Hat Logan if you previously saved him from Sen's Fortress, Duke's Archive, and subsequently purchasing all of his magic spells while he was in the Archives near the moving bookcase, respectively. After he becomes hostile, Big Hat Logan will be naked aside from his hat (the rest of his gear may be obtained from a chest located in the room behind the moving bookcase, where you spoke to him before to purchase spells), suggesting he is attempting to mimic Seath's "scalelessness." You may obtain his other gear from the room down in the Archives before you fight him.